Ever wonder how a designer created an effect? What helped an actor to make a moment real? What a director thinks a play is all about? Now is your chance to ask! 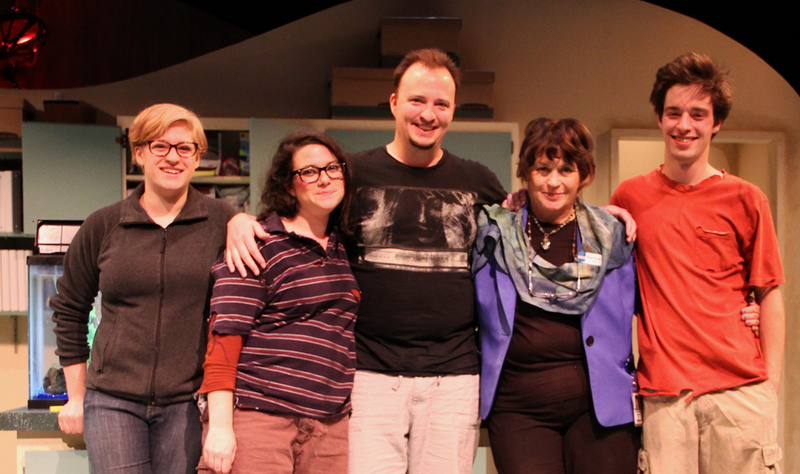 Following each Sunday matinee performance of the regular season, OCT hosts a post-show discussion with several members of the cast and production team. Talk-backs are free and open to the public. For more information, please contact the Box Office at (541)465.1506, or email BoxOffice@octheatre.org. Julie Voelker-Morris is a Senior Instructor for the Arts & Administration program at the University of Oregon. In addition to instructing, she also serves as co-editor of CultureWork: A Periodic Broadside for Arts & Culture Workers for the Center for Community Arts & Cultural Policy. Julie is on the Advisory Board for ArtCore, a U.S. Department of Education grant that is developing a sustainable arts integration model to being implemented at five Lane County schools, and works as a member of the editing team for Studies in Art Education, the premier research journal of the National Art Education Association. Julie has special interests in issues related to gender and art and various elements of performance, process, and production of identity.